Everyone knows that changing your home’s interior paint colors is the easiest and most cost-effective way to update and upgrade. Over the last few years, neutral choices have become the trend. Muted shades of earth tones such as grays, beiges, and creams, along with calm blues and soft greens are very popular in southeastern N.C. homes. However, after a few years of living with a neutral color scheme, some homeowners may be ready for a little more….well, color! Interestingly enough this year’s “Color of the Year” chosen by the Pantone Corporation is Radiant Orchid. If you’ve ever stopped to think where paint color choices originate, the Pantone Corporation gets the credit for its matching system. It was developed by a chemist, Lawrence Herbert, in the 1960’s. For over 40 years, the Pantone Color Matching System has been used in the creation of fabrics, paints, and plastics. Knowing that, it is no surprise that the color analysts at Pantone are highly regarded for their trend setting predictions. 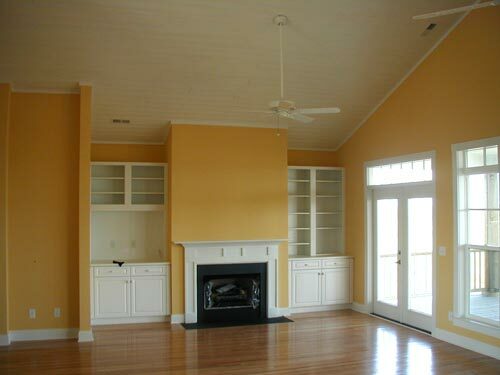 Now if this choice sounds a bit extreme for your walls, remember that painting doors, window frames, trim, ceilings, bookshelf walls, mantles, stairways and banisters, are several excellent ways to introduce some fresh color into your home. Although painting is an easy and economical choice, the tough part is choosing colors we can live with. If you are hesitant to make a decision and worried that your paint choice will lack staying power, please schedule an appointment with one of our paint experts. Just call 910-686-3067 to choose a time that works best for you! If you have ever looked in to the cost of replacing kitchen cabinets, chances are you experienced a little sticker shock. Even the expense involved in refacing existing cabinets is pricey. Along with labor and materials, there is also the environmentally conscious question about what to do with the old cabinets. Donating them is great, however, removing them and keeping them intact is not always so easy. Colour Solutions has a simple and cost-effective answer to those considering how to change or update their kitchen cabinets. 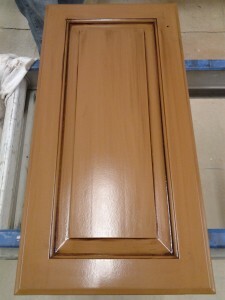 Depending on the construction materials used in your existing cabinets, we may be able to refinish them or repaint them. Customers are always so surprised to see what a difference these simple and much more cost-effective solutions make. When the Colour Solutions crew applies fresh paint or stain choices and new hardware is installed, it’s like magic! In fact, this option offers a lot of flexibility with colors and finishes. We are also happy to examine the latest trends with our customers as well, such as pops of color inside cabinet interiors, chalk paint colors, and even stencils. With a little help from us, you’ll be able to save that cabinet money for spring annuals and new patio furniture! 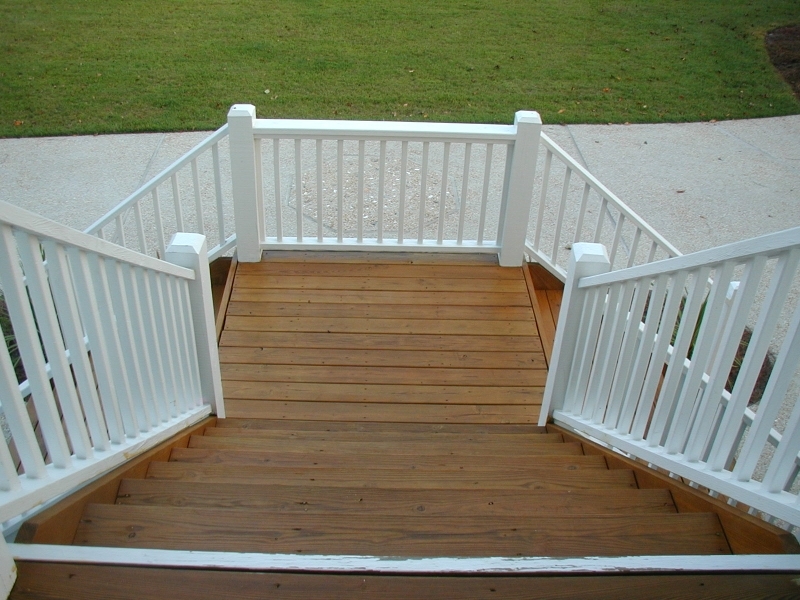 Please give us a call to schedule an appointment for a free estimate: 910-686-3067. Paint Those Winter Blues Away and Get a Jump on Spring! The winter weather of 2014 has been tough for much of the country. It’s no secret that millions of us are excitedly counting the days when spring and warmer temps finally come our way. Rather than huddle inside by the fire, why not get ahead and perk up your home with some fresh paint? That way, when those gorgeous days finally do arrive, you’ll be able to enjoy them completely! 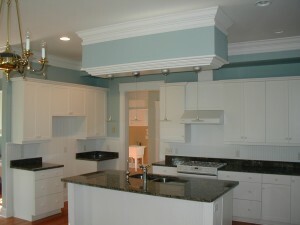 Perhaps you’re ready to change the color of your kitchen, family room, or want to redo a bathroom? 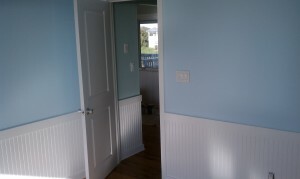 Dollar for dollar, paint is hands down the most cost effective way to update your home. 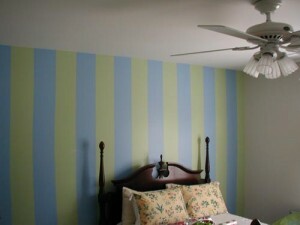 And what’s even better is that today’s low VOC paints make it easier and safer to tackle indoor painting jobs. 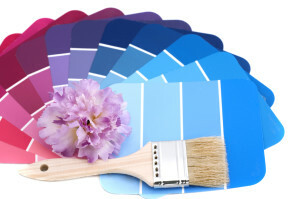 Just like with clothing styles, there are new spring collections for paint colors. We’d love to show you what’s new for 2014! Pressure Washing – It’s the perfect way to prepare a home’s exterior for a fresh springtime paint job. Garage Floor Coatings – Has this winter destroyed your garage floor? A new coating will make it like new again! Wallpaper Removal – Are you ready for a new look, but just can not get the old wall paper off the walls? Leave that messy job to us! We also handle drywall repair. Cabinet Refinishing – If your kitchen or bathroom cabinets are dark and dated, you may be interested in finding out how easy it is to have us refinish them. Simply call one of our team members for an estimate. Faux Finishes – Are you intrigued by some of the specialty finishes or interesting paint jobs you’ve seen on the home and decorating programs? From faux finishes to the new ombre, we can help! Spring is truly just around the corner and let’s face it, there is so much more to enjoy when your home is freshly painted and in an excellent state of repair. Find out all the ways we can help you get the most from your spring and summer with a call to Colour Solutions at 910-686-3067. This is a style trend that spans several mediums, including clothing fabric, upholstery textiles, and even hair! Pronounced “ahm-bray” it’s a French term that means “shaded.” To create ombre, shade variations of one color are produced in a pattern that slowly graduates from light to dark. In achieving an ombre finish with paint, three shades of the same color are used. 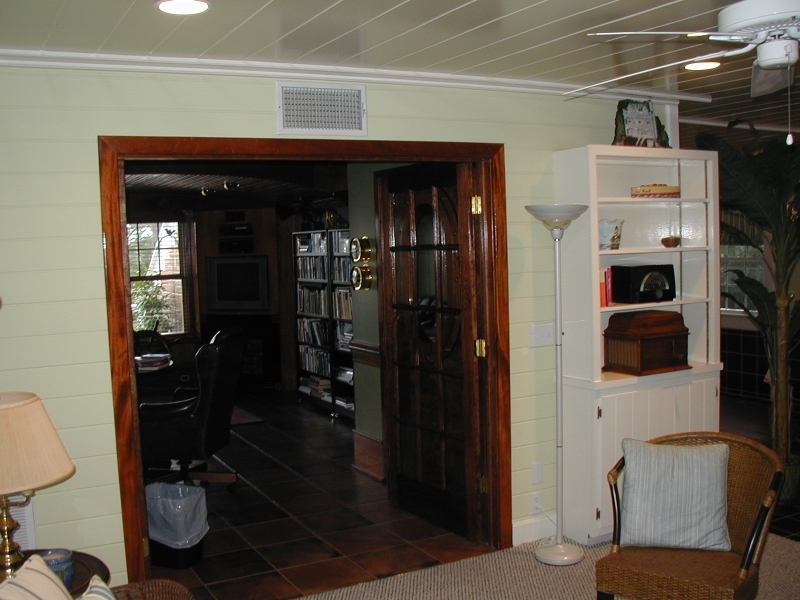 Picture a wall-beginning at the top portion that meets the ceiling. The lightest shade of paint is applied here along one third of the top section. Next, the medium shade is applied along the middle third of the wall with the darkest shade going on last along the bottom third, that meets the floor. Depending on the color of choice, the effect can be bold (deep hues of red or orange) or soothing (shades of sea glass green or Azalea pink). It is also possible to blend separate colors for an ombre rainbow. Typically, this paint treatment is best reserved for just one accent wall. Fun projects such as ombre paint finishes are our specialty at Colour Solutions! 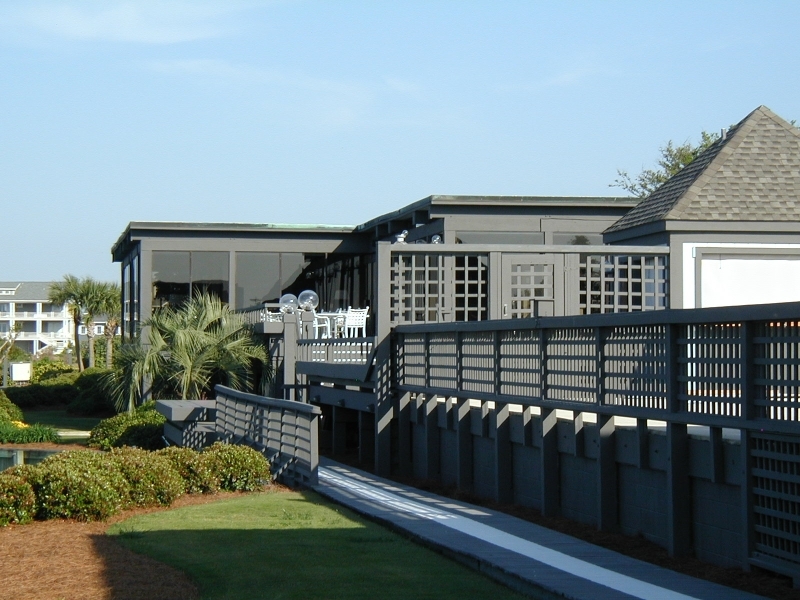 Please give us a call at 910-686-3067 to make an appointment with one of our helpful painting experts. Have you ever heard the expression, “What looks in looks out”? If you’ve been looking into a dark, worn, or otherwise lackluster space each time you open your kitchen cabinets, consider giving them a makeover. Homeowners with glass cabinet doors in their kitchens already know how accenting these areas can add interest and a whole different dimension to the kitchen. 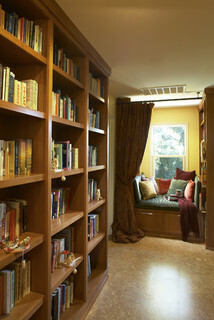 The same kind of magic happens when the interior shelves, sides, and backs of cabinetry is given a pop of color. Consider also how many times on any given day that family members reach into the kitchen cabinets for a plate, glass, mug, or snack. Painting the inside woodwork a cheery or contrasting shade can give everyone a little boost as opposed to reaching onto a dreary, beat up, shelf. Another makeover possibility when the inside is painted in a festive shade is that a few or all-cabinet doors can be removed for an updated, yet retro/vintage look. 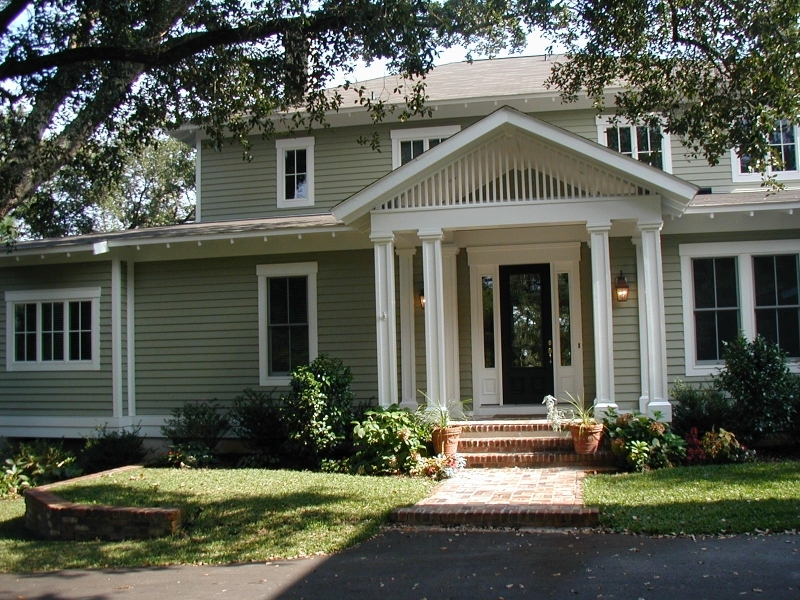 Do you want to have a contrasting accent color that’s much darker or lighter than the outside framework and doors? How will the new interior color compliment your stacks of dishes and glassware? Are you already using a defined accent color elsewhere in your kitchen? That may be the direction to take. In addition to creating a contrasting finish, monochromatic paint jobs are another way to go. These are especially attractive in more formal or contemporary kitchens, where interesting color choices for the cabinets can add sophistication and a little drama! 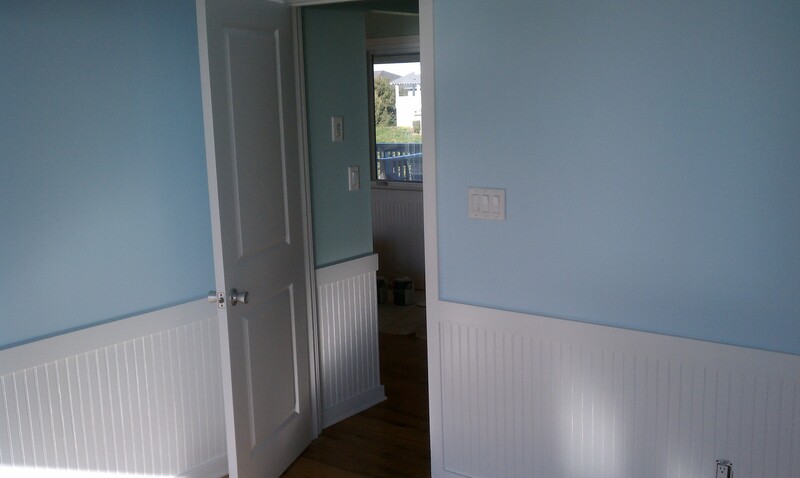 Even if the woodwork on the cabinetry exterior is stained, painting the interior can still make an impact. Choosing the right color to accent the wood finish can create a very subtle design scheme. For example, for an industrial modern feel that makes a bold statement, try oil stained ebony cabinets with red, fuchsia or emerald interiors. Natural oak doors with robin egg blue, mint green or lemon yellow interiors say country fresh. 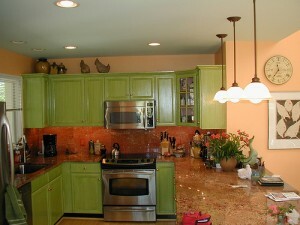 It is also possible to use several colors when redoing cabinet interiors. This tends to either create a stylized contemporary look, or depending on the color palette, it may translate into something more whimsical. Our team of experts at Colour Solutions would love to assist you in a project like this. Browse a gallery of our interior painting work to get an idea of how we can help transform your space. We invite you to schedule a consultation to discover all the possibilities. Please complete the contact form on this page or give us a call at 910-686-3067 to find out more about all of our services. 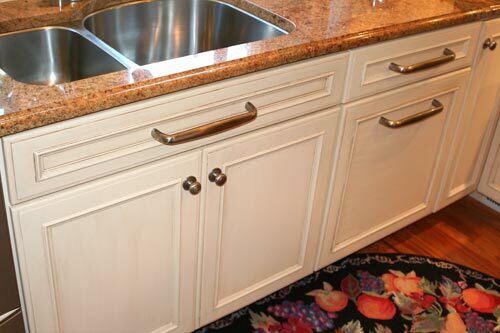 Over the years, your kitchen cabinets will get a lot of wear and tear. Instead of spending a small fortune to replace them, why not simply refresh their look with a new coat of paint or an attractive faux finish? Colour Solutions offers professional cabinet painting services to give your kitchen a totally new look for a fraction of the cost of replacing them. With a very wide selection of colors to choose from, including the basic neutrals as well as attractive shades to suit just about any style, Colour Solutions can help you choose a look that works well in your kitchen. Whether you’re going for a more modern look or you want to capture a rustic “shabby chic” motif, Colour Solutions’ design experts can create a custom painting project suited to your tastes and budget. Need a few ideas to get started? Choose a bright white to create the illusion of a bigger, more open space. This works well in small galley kitchens. Want something more unique? Consider experimenting with deeper shades of colors found throughout your home. Consider the layout of your kitchen and how color will play into it. 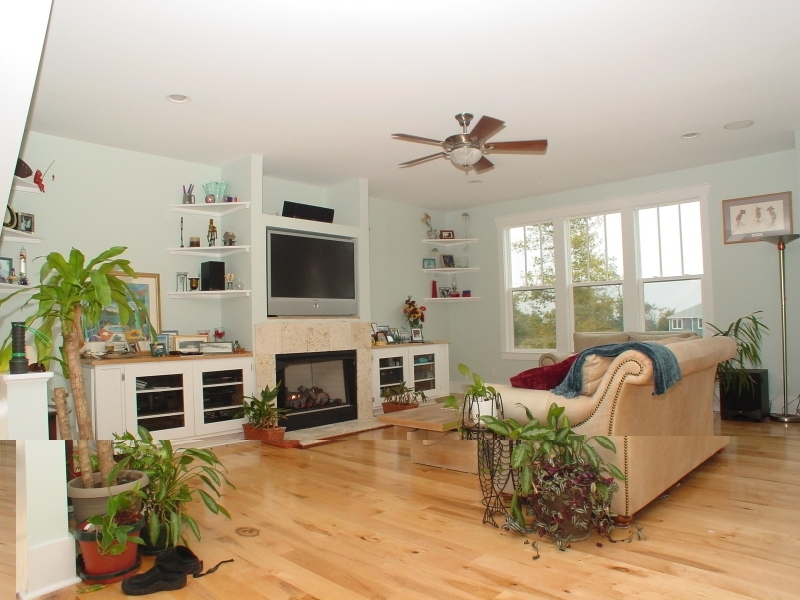 Does your kitchen open up to the dining/living area? You may want to break up the monotony by choosing a different color that complements the color in those areas. Likewise, you may start out with the idea of painting your kitchen and find that you’d like to have that color flow through the entire space. Two-tone effects are also becoming more popular in kitchens. 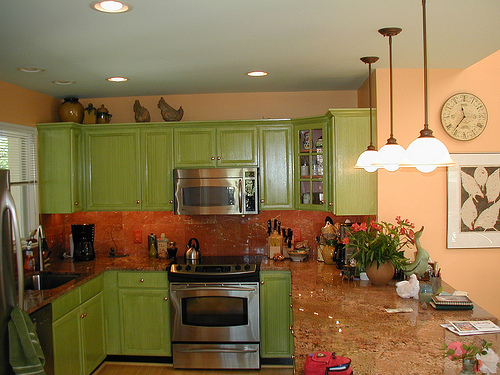 Choose a lighter color for your upper cabinets such as cream, white or a light shade of green, and choose a darker shade for the lower cabinets. This effect helps draw the eye upward and can make your ceilings appear higher, making the room appear larger. 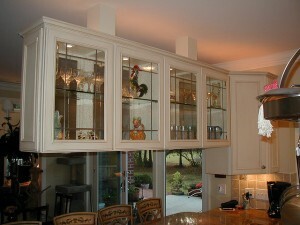 Inspect the design of your cabinets. Depending on the style and texture, a faux finish may work well. 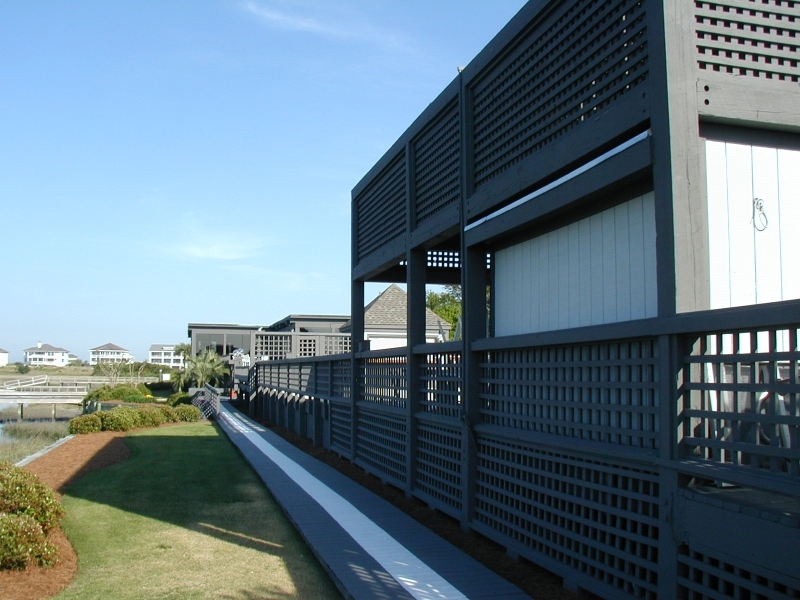 Check out our online gallery to get more ideas, then be sure to give us a call for a free consultation and estimate. (910) 686-3067. 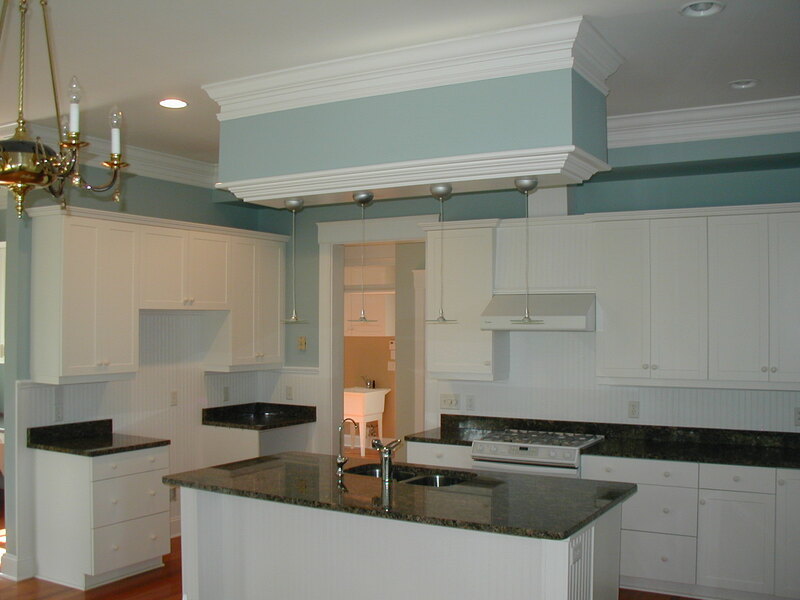 In addition to cabinet painting, Colour Solutions also offers a wide selection of other home improvement services. Whether you need to get rid of that old, outdated wallpaper, want to refinish your deck in time for summer or need to fix a drywall mishap, Colour Solutions can help! Check out Our Services to see a full list of what we can do.